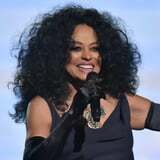 The Grammys just got a whole lot more exciting thanks to Diana Ross! The influential singer and fashion icon, who took home the Lifetime Achievement Award from the Grammys in 2012, will be a part of another unforgettable moment at the award show on Feb. 10 when the Recording Academy honors her with a very special "75th Diamond Diana birthday performance" to commemorate her "profound impact in the world of music," according to a press release about the big event. The Grammys, which will be held live from LA's Staples Center and are set to be hosted by Alicia Keys, is the second award show in recent memory to honor the 74-year-old with a glitzy performance (she turns 75 in March, hence the "birthday" performance). In 2017, she performed an outstanding medley of her greatest hits at the American Music Awards, including "I'm Coming Out," "Ain't No Mountain High Enough," and "The Best Years of My Life." There's still no word on what songs she'll perform at the Grammys, or if any other singers (or her massive, adorable family) will join her onstage, but we can already bet it will be a major highlight from the lengthy show.